MPG-o-Matic 2011 Buick Regal CXL Sedan Review Summary: Remove the trademark grille and telltale badges from the 2011 Buick Regal CXL and you’d be hard-presssed to know what it is as you stroll up to it. Slip behind the wheel, and you might guess you’re in a European sport sedan … which, in fact, you are. Beneath the badges, the Regal is an Opel Insigna. While the engine might come from America (and the transmission from China), the Buick Regal is built in Russelsheim, Germany. Bottom line? This is the best handling Buick. Evah. The front-wheel-drive (FWD) 2011 Buick Regal CXL is equipped with a 2.4-liter DOHC 16-valve ECOTECH inline four cylinder engine producing 182 horsepower (HP) and 172 foot pounds of torque as standard equipment. A six-speed automatic is the sole transmission available with the base engine. The optional 2.0-liter turbocharged four cylinder engine – producing 220 HP and 258 foot pounds of torque – can be fitted with either a six-speed automatic or manual transmission. 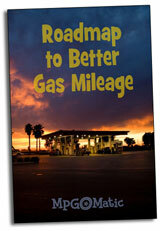 The official fuel economy estimates for the 2.4-liter 2011 Buick Regal CXL are 19 city / 30 highway miles per gallon. We traveled roughly 500 miles in our Quicksilver review unit and were able to slip past the official mileage estimates, with an average of 32.9 MPG on the Interstate highway and 27.0 MPG combined, with temperatures ranging from the high-fifties through the mid-eighties. Interstate highway testing temperatures were in the high-seventies. The test vehicle was delivered with just over 3000 miles on the odometer. The 2011 Regal CXL is equipped with 18-inch alloy wheels clad with P235/50VR18 Michelin Pilot MXM4 tires. The CXL Turbo features 19-inch alloys with Goodyear Eagle RSA P245/40R19 tires. While enthusiasts will likely opt for the more powerful 2.0-liter turbo option, the Regal’s standard-issue 2.4-liter ECOTEC inline four does an acceptable job. The CXL is fitted with GM’s Hydra-Matic 6T45 six-speed automatic; the CXL Turbo uses the Aisin AF40 unit. Highway driving range is good when driven conservatively. The Regal CXL is fitted with a 18.4 gallon fuel tank, while the CXL Turbo’s tank holds 18.0 gallons. The Regal CXL is designed to run regular unleaded fuel. Premium unleaded fuel is recommended but not required for the CXL Turbo. Curb Weight: The 2011 Regal CXL weighs 3,600 pounds, while the CXL Turbo tips the scales at 3,671 pounds. The Regal is equipped with four wheel anti-lock (ABS) brakes and Electronic Stability Control (ESC), with 11.7 / 296 front (vented) rotors and 11.5 / 292 rear (solid) rotors. The center mounted Driver’s Information Center provides two trip meters, along with data on oil life, tire pressure, fuel range, and a simultaneous display of both average and real-time fuel economy. A concurrent view of both the average and real-time numbers is a big plus for fuel-concious, light-footed drivers. The six-speed automatic transmission’s slapstick shifter allows for manual control over gear changes. Banish any thoughts of its ancestors. The 2011 Regal rides and handles like no Buick before it. The suspension is surprisingly firm and decidedly un-Buick-like … and that’s a good thing. The 2011 Regal’s cabin is unlike any other Buick, as well. The design is decidedly sleek and European with piano black trim and standard leather seating surfaces. The Comfort and Convenience option package includes an eight-way power drivers seat and four-way power lumbar support for both the driver and passenger bucket seats. Three-level seat heaters are standard equipment. The leather-wrapped steering wheel features GM’s familiar integrated controls. Hands-free Bluetooth is standard, as is XM satellite radio and OnStar. The RL5 Option package includes a nine-speaker Harmon Kardon audio system, power sunroof, and Ultrasonic rear parking assist. There are two twelve-volt outlets, with the first at the base of the dash, and the second inside the center console. A 120-volt AC power outlet is included with the Comfort and Convenience package and is located at the rear of the console. USB iPod and auxiliary audio/video inputs are also located inside the center console. The Regal’s second row is rated for three, but best suited for two and includes a center armrest. Tall passengers are likely to find it a tight fit. There are 36.8 inches of rear seat head room and 37.3 inches of rear seat leg room. The trunk allows for 14.2 cubic feet of cargo area, with a handy center pass through and a 60/40 fold-down rear seat to accommodate longer cargo. All-in-all, the 2011 Buick Regal CXL represents a huge but necessary gamble for the brand, as many existing Buick owners have bought their last new Buick. The Regal opens up the brand to a whole new audience as it poses competition for the likes of the Acura TSX and Audi A4. We look forward to testing the more powerful turbo model (as well as the high-performance Regal GS) and hold out hope for the fuel-efficient turbo-diesel version to cross the pond from Europe. This is a lie!!! I drive like a old lady and I only get 24. This makes me really trust your BS website. By the way how fast were you driving on the Interstate.. 45?? @Ellen – Many thanks for your feedback. The article clearly states the Interstate highway testing speeds. The speed limit in this state is 65 MPH, so we test with the cruise control set at 68 MPH, and with the cruise control off with target speeds between 60 and 72 MPH. Simply put, the faster you drive on the Interstate, the more you change lanes, and the more times you step on the accelerator and brake pedals, the lower your mileage. Driving like an old lady isn’t the key to getting the best mileage. You’ll have better results when you maximize inertia and drive with your foot off the pedals, whenever possible. Keep plenty of distance between your car and the car in front of you and use the real-time fuel economy display to develop a light foot. You didn’t mention whether your 24 MPG is on the highway or combined average. We averaged 27 MPG overall. I have owned the Regal for almost a month. Although I am really loving the car overall, I am a little disappointed in the mpg. Right now I’m getting a combined average of around 19.5 mpg. I am more light-footed than most and my average speed for my daily commute is around 38 mph. I just thought I’d offer some real world input. Many thanks for the kind words and update, Keith! Stop-and-go driving can be a challenge. It takes a lot of energy to move a car from a full stop … the trick is to increase following distance and to keep rolling when possible (and legal!). Maximizing inertia is key. Once the car is up to speed and is on level ground (or headed down an incline), try taking your foot off the accelerator. It’s all about the glide. I’m not sure the lecture on smooth driving for greater mpg is warranted. Listen to what new Regal owners are trying to tell you. Realistically, the Regal gets dissapointing gas mileage. If I can get 35+ mpg in my daughters Mini Cooper, I doubt if it’s a lack of smooth driving skills. My 07 Buick Lucerne gets better mileage (26 mpg) than the new Regal (23.3 mpg with 2,600 on the ododmeter) in the same driving cycle. Winter fuel and conditions can have a negative effect on fuel efficiency. Keep an eye on your Regal’s mileage through the break-in period and if it’s still off the mark, bring it to your dealer’s attention when the car goes in for its first service. We just returned from a 4000 mile driving vacation from MI to FL. We left with just over 500 miles on our Regal and got computer MPGs on the way down of 26.9, 27.5, and 28.0. Beginning our return with about 3000 miles on the odometer, we drove mostly in cruise set at 68 – 72 averaging 65 – 66 MPH overall for 1200 miles and the computer gave us 28.5, 29.5, and 29.8 MPG. In checking my mileage the old fashioned way… fill to the top and do the math, we got 32 and 32.5 on the last two fills. Our last Regal, a 2001 would regularly give us 31 – 33 with less of the coasting and getting off cruise on long upgrades, but it was not nearly the vehicle this 2011 is with respect to handling, control, and quietness. The best way to learn how to drive with a light foot is to use a real-time fuel economy gauge. Since your ’87 Camaro pre-dates the OBDII standard, you can’t plug in a new-fangled display like the ScanGaugeII, AutoMeter EcoMeter or one of the iPhone apps … but you can install a good old-fashioned mechanical vacuum gauge, like the Auto Meter 2337 Auto Gage to help Dad keep it in the green. The computer mpg on our 2011 Buick Regal is usually at least 3mpg less than if you check it the old-fashioned way. If you are relying only on what the computer tells you, you will be disappointed in your mpg. I don’t know if this can be fixed or not…..it should be closer to actual. I just picked up my 2011 Regal CXL Turbo last Saturday (left over but deal was too good to pass up) so my car is still in the break-in period. My daily commute is 110 miles where 85 are highway miles. The computer told me the first tank of gas was 26.5 MPG and when I filled it up and calculated it manually I got 25 MPG. The dealer gave me a “full tank” of gas. I blamed the difference on the dealer NOT giving me a full tank. I am on the second tank and the computer is telling me 28.5 MPG for my commute. I am hoping to get close to 30 overall when the car is fully broken in. This car far exceeds my expectations so far. Quiet comfortable, and quick and far less than an Audi, BMW, and Volvo. Good job Buick! OK, I have had my Regal a little over 2 weeks now with over 1400 miles on it. Gas mileage as reported by the car is accurate within a few tenths and is hovering around 26.5 MPG. However, on the first leg of my morning commute today i saw 30.2 MPG. If I keep my foot out of the turbo this car will return high 20’s MPG. I have noticed that leaving stop lights this car tends to move out quickly since the car has lots of low end torque. This is lots of fun, but will waste gas unless I need to get out front. The infotainment system is fantastic! My phone connects flawlessly to the car. Sound quality from the HK 9 speaker system is tops. Love the nav warnings for traffic and severe weather. I have the Carbon Black version that gets lots of looks from both men and women alike. So far, the best car I have ever owned. High praise considering I have been a diehard Honda fanatic for years. I have a 2011 Buick Regal CXL with 41000, I love my car but the gas mileage is not good for me. I drive my car pretty hard and I’m getting only 16 to 17 MPG also I have a automatic start on the car and I use it every day in the winter.